You are currently browsing the tag archive for the ‘Deborah Biancotti’ tag. 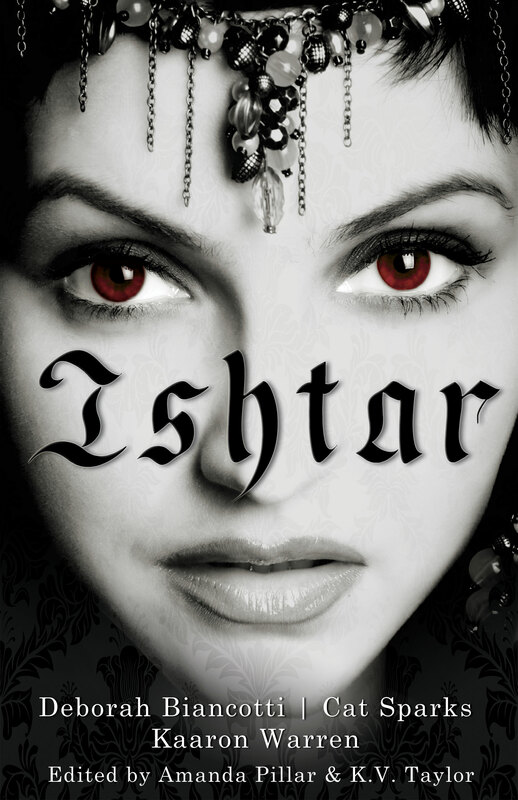 This is a set of three novellas, set in very distinct times, about the goddess Ishtar. Despite having the same theoretical focus, the three vary greatly in tone, style and actual focus. There are, nonetheless, a couple of clear threads that link them. The first is, of course, Ishtar herself. This is no Botticelli-esque Venus, no whimsical romanticised Aphrodite; all three authors present an Ishtar who is very clearly goddess of war and goddess of love/sexuality, and who embodies the struggles that each of those aspects brings – not to mention the way they work together. Coexistent with this is an attitude towards men that could perhaps be described as contempt, although that may be too harsh; disdain may be closer. Aside from Ishtar, the three stories are all categorised by a general sense of dread, of pessimism and darkness. These are not cheery tales. I promised myself I would get to this one eventually. I had read most of the individual stories before the release of this, Deborah Biancotti’s first short story collection, and I read all of the new stories last year, as I read most original short stories, in electronic form and in a rush, in order to sift out the best ones for Last Short Story blogging. But that’s the whole point of a short story collection. It doesn’t matter if you’ve read the stories before. They are being presented anew, forming part of something else, and you haven’t actually read it as a collection unless you have sat down and read it, in order, turning all the pages. I promised myself that one day I would lounge on a couch, with a box of chocolates or a tall jug of iced tea, and spend a whole afternoon taking in this particular book properly, instead of just waving my hands and telling other people to read it. Of course, my life doesn’t work that way. I consumed it in three parts – one part lying on the bed in my library, glaring at the various members of my family attempting to visit me in there and loudly announcing THIS IS MUMMY’S QUIET TIME, one part perched on my couch while the baby ran ever so slightly amok at my feet, and one part in an armchair today, while eyeing the workmen busily digging holes and swapping power poles outside my window. 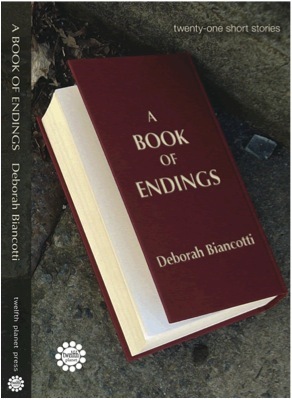 A Book of Endings is the first short story collection from Deborah Biancotti; it contains 21 stories, 15 of which have been published before. Most were new to me, but I haven’t been reading much short fiction; the stories reprinted here first appeared in a variety of publications, most of which will be familiar to those who read Australian short fiction. So for some readers, a number of the stories will be familiar. There’s no indication that this is intended as a “best of” collection, and indeed the fact that over a quarter of the stories are new militates against this. It is, I think, more intended to be representative of the range and quality of Biancotti’s work. In this, it works well; although it is clear that Biancotti has some favoured approaches and themes, A Book of Endings is quite a diverse collection. Importantly, the stories are all of high quality. Not everyone will like them all, or indeed choose the same favourites, but I think most readers will appreciate what Biancotti has achieved here. This isn’t a light collection. I don’t recall a single story here that I found humorous, or would call light relief. That’s okay. 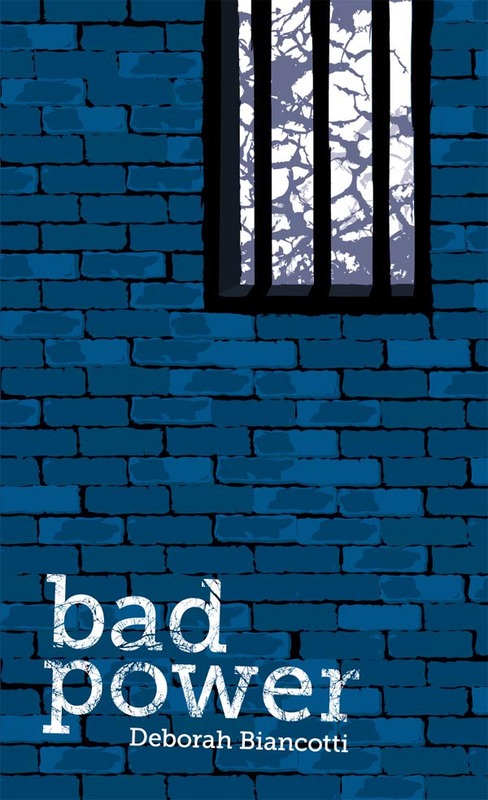 But given that most of these stories are on the darker side, and many have quite a lot for the reader to think about, it’s not the sort of collection I can read quickly. I found I needed to read one or at most two stories, and then put the collection down for several days to enable me to absorb the impact of that story before I could consider reading another. They’re strong stories, with a lot to think about, and some of them have a strong impact on the reader.